GM (Vauxhall) on either side of the pond doesn't seem to have no records or clue as to how many cars came to Canada - at least not specifically that I can find. I am most interested in GT's - which can only have numbered in the low 100's. Contacted the Canadian Automotive Museum - who keep an archive. They sent me this yesterday. Not sure the company and they went out of business in '69 so it doesn't even help for my '70 car, But, looking at British GM and British F*rd - more came to Canada than I would have expected. 13,570 That's quite a lot. I assume that it covers commercials as well, so would Bedford vans and lorries be in that figure? 1972nail wrote: 13,570 That's quite a lot. I assume that it covers commercials as well, so would Bedford vans and lorries be in that figure? who knows? Probably not as it specifies passenger cars. I do wonder though if it includes Opel? Opel would have been made in Germany or Belgium and not listed as British so probably not included in those figures, unless they were exported from Europe via Britain. I know but you know how it goes: American/Canadian, Irish/English/Scottish/Welsh, European/British, they're all the same! Just to unfortunately confirm your disappointment, J.P. The 13,750 British GM passenger cars shown on your 1969 chart as exported to Canada would all have been either HB Viva / Epic or FD Victor / Envoy Deluxe and SL models. I don't think the Viva / Epic GT was exported to Canada until 1970 model year, and I don't think the bigger PC Cresta / Viscount went to Canada at all (GM already had plenty of bigger cars on offer in Canada). So, exactly as you say, only a few hundred of the 4606 Viva GTs produced would have been exported to Canada, making yours a rare survivor indeed! How is your GT coming along? We haven't seen any updates on your restoration thread recently. Any more pictures or news? Colin wrote: Just to unfortunately confirm your disappointment, J.P. 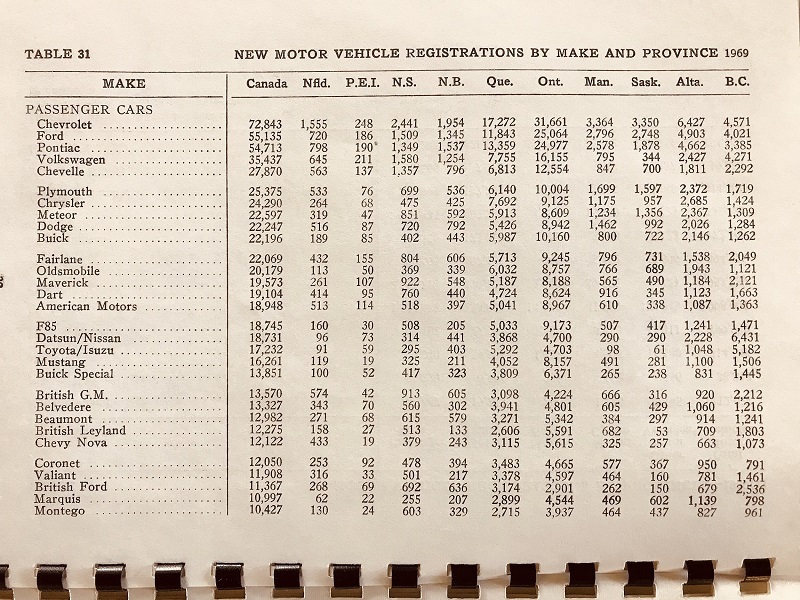 The 13,750 British GM passenger cars shown on your 1969 chart as exported to Canada would all have been either HB Viva / Epic or FD Victor / Envoy Deluxe and SL models. You are correct (so far as I know) that it was only 1970. Guy Turner and I reckon that no more than maybe? <maybe> 200 or so cars. Though I have to say I am not 100% convinced that the LHD export cars are included in the 4606 - I have no proof and so far no way of finding out but, UK cars all have 93711 as the first five VIN numbers and Canadian Cars (at least) have 93731 as the first five numbers - is this significant? I don't know. I don't know whether the Heritage centre might be able to shed any light on the number of Canadian GTs produced? I will ask at the next open day at the beginning of June. I know the feeling about burgeoning car collections J.P. Mine continues to grow too. In the below pictures, Viva GT number 1 is now fully back together. 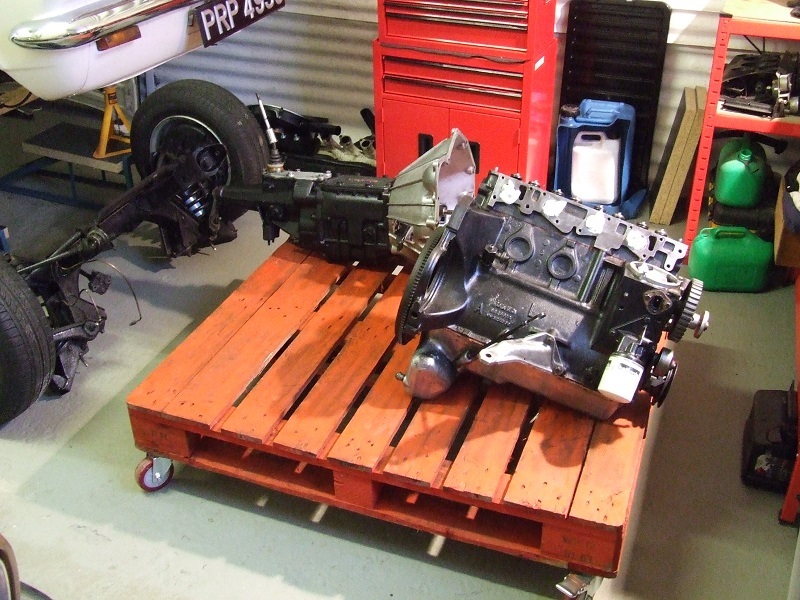 I had to strip down and rebuild the engine due to a number of oil and coolant leeks. 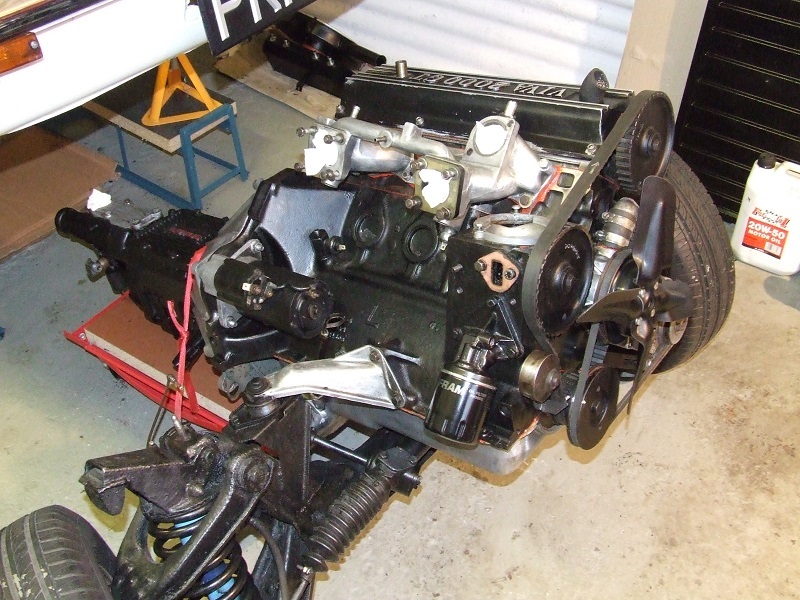 The engine was professionally rebuilt a few years ago with oversize pistons and bearings etc. The rebuild company did a good job - but they didn't seem to bother with any gaskets! - just using sealant everywhere! (Thanks for the rear main seal, David - purchased a few years ago and now finally used). 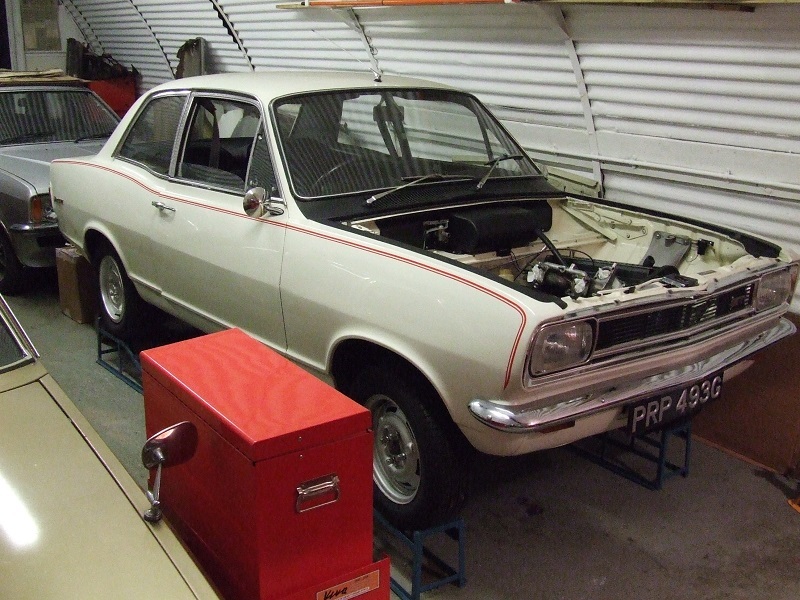 It's also had a new clutch, engine mounts, some front suspension bushes and various other items refurbished. Viva GT number 2 (1970 Mk II), just out of shot behind the gold FE and next to the silver VX Series 490, is still awaiting restoration, as is the silver VX 490. Meanwhile HB Viva SL number 3 (in good driving condition) is stored up the road at Fredshed. I don't know when I'm going to get time to do all these cars, but I will get there one day!